3 July 1918 – transferred to 3S n r B.D.E. August 1914 : in Finsbury, London. Attached as Army Troops to 1st London Division. 12 September 1914 : moved to Belhus Park. 20 September 1914 : landed at St. Nazaire and placed onto Lines of Communication. 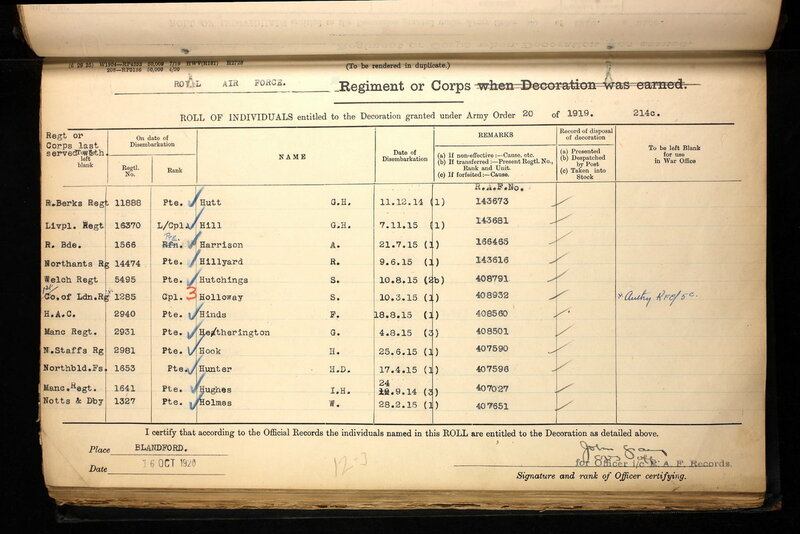 10 November 1914 : transferred to 8th Brigade in 3rd Division. 9 December 1914 : transferred to 7th Brigade in same Division. 14 October 1915 : transferred to GHQ Troops. 9 July 1916 : transferred to 190th Brigade in 63rd (Royal Naval) Division. 29 June 1917 : transferred to GHQ Troops. 26 September 1918 : transferred to 4th Guards Brigade, which at this time was in Cavalry Corps. 25 October 1918 : transferred to GHQ Troops. 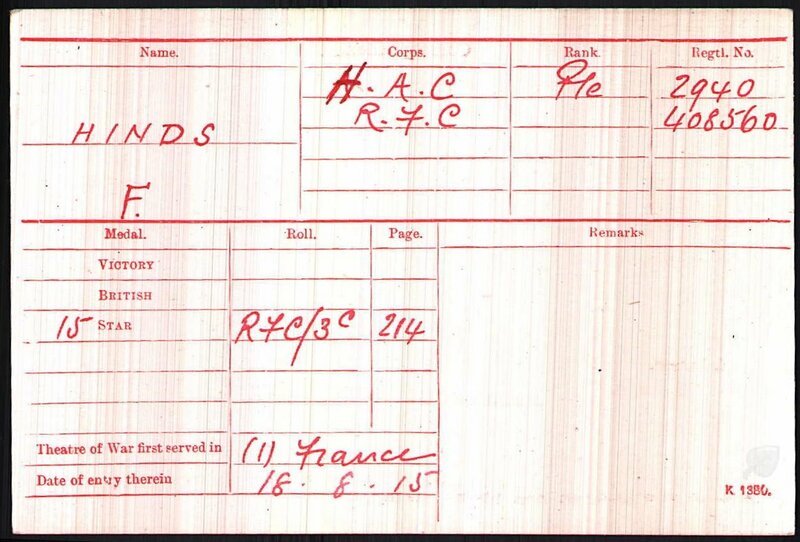 Frank joined the 1/HAC in France on the 18 August 1915. 1/HAC was attached to 7th Brigade in the 3rd Division and in August they held positions at Weiltse just North east of Ypres and on 19 August they were relieved and moved to billets in Ouderdom. On the 24 August the 7th Brigade took over the line at Hooge to the East of Ypres situated on the Menin Road. 1/HAC was positioned on the right of the Brigade on the edge of Sanctuary Wood until mid September - it is very probable that Frank joined 1/HAC here from Base Camp. The 7th Brigade stayed in and around Ypres going in and out of the line preparing for an attack in late September towards Bellewarde. The 1/HAC had a trying time in the immediate lead up to this attack when their trench defences were more or less demolished every day by enemy artillery bombardment. After this attack 1/HAC was sent to rest in the area of Brandhoek behind Ypres and away from the front-line and on 14 October 1915 was transferred to GHQ 7th Brigade. I need help finding where the 1/HAC were from October 1915 - July 1916 - I've tried to find a diary for this and entries for 1/HAC but I have not been successful - can anyone help please? 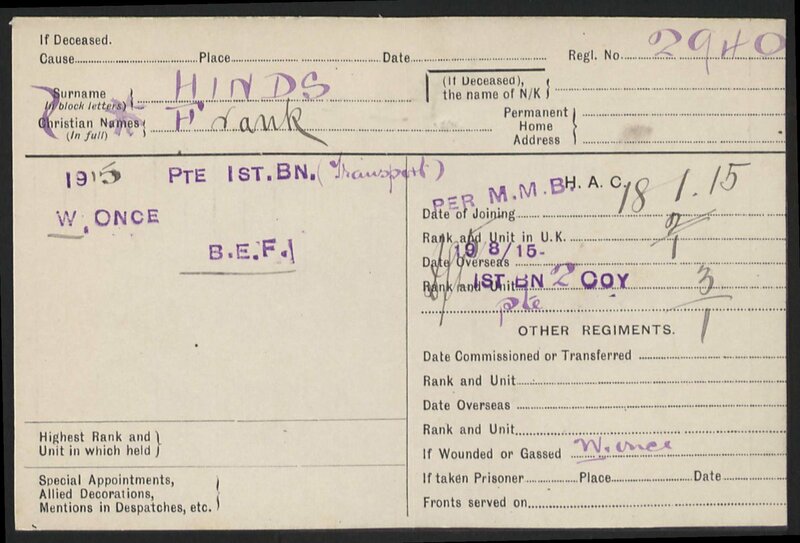 Here are Frank's RAF papers - can anyone help with deciphering – transferred to 3S n r B.D.E. please?